Welcome to Pet Angel®, where your pet will receive heavenly one on one TLC. We strive to provide the best care for your pet and offer you peace of mind and security. Pet Angel® does not smoke, wear ear phones, talk on the cellphone or text while walking your dog so as to provide our outmost attention. We are looking forward to being your Pet's Angel. 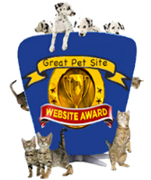 Pet Angel® is a proud member NAPPS, PSI, and Manta.